The ugly civil war in American medicine continues, this time in Texas. This civil war is not a war between the left-right politics of healthcare, as many would hope it be depicted. Rather, it is a war between an emerging left-right alliance that's building to topple health care's increasingly corporate state. On one side of the civil war is the staid old guard of American health care, represented by the Accreditation Council for Graduate Medical Education: the American Medical Association (AMA), the American Hospital Association (AHA), the American Board of Medical Specialties (ABMS), the Federation of State Licensing Boards (FSMB), the National Board of Medical Examiners (NBME), the Association of American Medical Colleges (AAMC), the American Osteopathic Association (AOA), and the American Association of Colleges of Osteopathic Medicine (AACOM). These organizations have operated for years without appropriate accountability and oversight of their own. On the other side are a whole host of smaller, disparate grass-roots organizations that have emerged independently and are coalescing under several common themes: (1) exposing and ending corruption/corporate greed by these unaccountable non-governmental organizations, (2) removing unnecessary and unwarranted regulatory intrusions into the practice of medicine, and (3) preserving a physician's right to work as their patient's primary health care advocate. The fight against the onerous and expensive ABMS Maintenance of Certification (MOC) "continuous re-certification" requirement that was born of an insatiable thirst for physician testing and educational fees in the name of health care "quality," was the catalyst that finally sparked the war between these opposing forces. This past week, anti-MOC legislation in Texas (SB 1148) that prohibits hospitals and health insurance companies from discriminating against physicians based solely on their ABMS maintenance of certification (MOC) status, passed 31-0 and now moves on to the House. No doubt corporate healthcare lobbyists are already knocking on Texas legislators' doors to insist they either kill the upcoming anti-MOC House bill or modify it to favor their interests. One can only imagine the money being spent to do so. If Texas House legislators votes are swayed by the current healthcare establishment's influence over their vote, they should remember a bit of Texas history, because that vote will be against Texas patients' best interest, too. 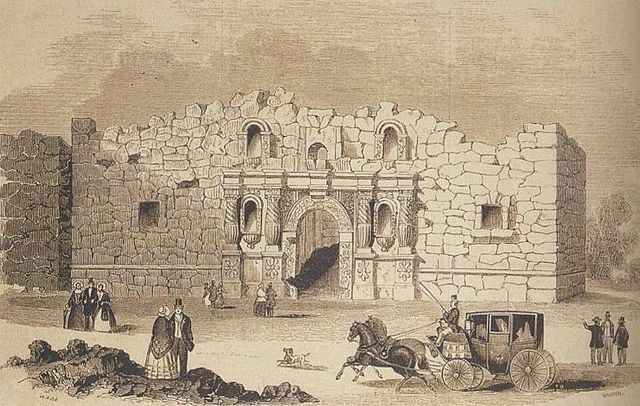 Remember the Alamo, dear legislators. I hope Texas wins! They will see migrations of docs if MOC is ban . Hmmmmm. Kaiser is searching for the "Founding Dean" of it's med school. One of the requirements is board certification. The school's current "Planning Dean", Chris Cassel, can't be bothered with such trivialities. Even though she is happy to create an enviroment requiring any doctor (who wants to make a living) to acquire what she hasn't. Is Kaiser going to cut her loose? Where is this whack-a-mole going to pop up next? So they want our money to fight against our own interests! Brilliant! We just need to get to "tipping point"/quantum physics idea, of 7 states or so and then it will spread to all states. Keep the effort alive - we can do this ! "MOC may all go to Hell, and I will go to Texas!" Dear legislator, vote yes for anti-MOC legislation. Make it unanimous like the Senate. Vote yes for the original bill without amendments to oppose the oppression of Chicago's ABMS MOC. Vote yes. Make it illegal for the ABMS to practice patient/physician discrimination in Texas. Vote yes for patient and physician rights. Send a message to the rest of the nation about ABMS executive greed. Vote yes to make ABMS MOC thievery and thuggery a thing of the past. The ABMS and their 24 medical boards are corrupt as hell. They have devolved into serving not patient or physician, but only special interests and the big insurance companies who are undermining our healthcare. Patient whose family lost their DOC to the infamy of the ABMS and their treacherous money-making scam called MOC! Wake up Texans and remember the Alamo. Oppose mandated MOC, and encourage the Texas House of Representatives to vote yes for the original SB1148 bill to end it. We all need to rally and stand our ground. ABMS "MOCsters" and their traitorous congressional lobbyists are coming for us in the dark. Legislators must remember the ALAMOC by voting yes to end mandatory ABMS MOC. Close your ears to the insurance lobby and their incessant propaganda. ABMS MOC don't make a better DOC! MOC just lines the pockets of ABMS execs and fills the coffers of their rich oligarchs. Driving back from Corpus Christi to Austin, I passed through San Antonio last week to see a flashing sign off I 37. It read, "Is your doctor board certified?". I could not read what followed, but you can already see the expensive hype and propaganda coming from the big insurance companies and their large business partners. The ABMS and their rich cronies are spending some significant money here deep in the heart of Texas. It's my sense the fight is all about greater profit and control for the medical industrial complex. The "Rich Barons" of the world want to keep their $825K+ compensation packages going with the additional 20-25% deferred golden kickbacks as long as possible. Their rich powerful partners on Wall Street want to sabotage our rights and pour their corrupt dirty water all over our dry honest powder. You know the Texas Medical Association has their offices right next to the Austin capitol building. I hope they also go the extra mile to do what is right for Texans and America to help TB1148 in its original form pass in the Senate, thus protecting physicians' and patients' rights. We must never cave in. Mandated MOC is an aberrant growth - a virulent cancer that needs to be surgically removed from the 'house of medicine'! The Texas legislature has a big responsibility to protect physicians and patients rights by resisting the insurance lobbyists and other special interests. It is the obligation of the Texas House of Representatives to vote yes for the citizens of Texas and pass the original bill. We must all vote yes by using our voices to end the onerous MOC mandates and the egregious politics the ABMS invents and imposes on us behind closed doors; call your legislators. It is totally unacceptable that ABMS greedy management and their illicit MOC continues. Mandated MOC was invented to fix a failing bottom line and serve their elite executives who in turn support--not the physician or patient--but primarily the financial powerhouses who are immersed in mergers and consolidation and the corporate takeover of medicine. If we don't fight ABMS wrongdoing and resist their unethical ilk who have instigated such unfathomable corruption in the private and public sectors, the house of medicine will not only burn it will go into an unstoppable free-fall. Insurance companies profit from delays and bottlenecks when physicians are forced to act as their clerks. MOC is an burdensome and onerous invention created for insurers and hospital plans colluding with the quality/certification cartels. "The ABMS founded in the 1930's accomplished its mission long ago. They clearly distinguished themselves as professionals by separating the men and women of medical science from the snake charmers of their day. Unfortunately, the ABMS has outlived its original mission and the member boards have devolved into little more than a pit of 24 avaricious back-biting snakes, winding around a shady Chicago umbrella." MOC is a monopolistic pay-to-play malware holding every physician hostage in the United States of America. If you don't pay you cannot work. It is that kind of virulent ransomware. Mandatory MOC payments and the onerous ABMS "stress tests" imposed on docs are just as felonious as any cyber-crime assault on vulnerable individual computers and systems. Isn't it obvious to the DoJ and FBI that the ABMS quality assurance cartel needs to be thoroughly investigated. ABMS ransomware was invented and implemented for profit and control over physicians. Docs have been terrorized by the MOC ransomware ever since. State legislators must step up to give relief. What greatly surprises many is that the ABMS medical boards and their umbrella organization are not sequestered off with yellow crime scene tape. It is obvious to most that many of the profligate executives need to be arrested and their computers seized for the nefarious evidence they contain. For examples of ransomware attacks (even political terrorism) and just how debilitating and hazardous to healthcare and the defense of a country "malware" can be see the articles below. Mandatory ABMS MOC and ransomware are both heinous crimes and should be punishable to the full extent of the law. There should be no more protection for the elites who "get away with murder". [Is anyone really protecting the public from stupidity and greed? Does the NHS Secretary understand how little the Digital Doctor really knows about actual security. How can anyone trust the ABMS when anybody with clear eyes can see all they have done in violation of the public trust. It makes me shudder to think of it. I will not leave my name to this thread, because I understand clearly that the ABMS is led by a collection of outliers and thugs who are consciously doing harm to medicine. With financial and political motivations unfitting for a non-profit company representing the public, they harm physicians and patients - while hiding behind a facade of good will. I was personally threatened by them when I tried to conscientiously bring some of their most concerning actions and misdeeds to their attention. What I realized with my gut was just how much the ABMS is truly a danger and menace to the medical profession and to society. Mandated MOC is the illicit spice they push that keeps the larceny and control going. Anyone who thinks otherwise needs to pull their head out of the sand and get their head in the world. Nothing wakes you up more than being personally threatened. Look at the facts that they try to bury. No good organization would employ a reckless felon to police physicians. The ABIM whitewashed a dangerous and violatory past of a double-felon in order to use that felon to their financial and political benefit. This was the ABIM CEO, COO, CFO and other executives (with approval of Dr. Baron and the board) acting on behalf of the ABMS and other member boards to hire a man with a very bad and repetitious record. He repeated many of the same violations while working for the ABIM. The ABIM/ABMS even tailored a position "director of investigations" for the felon to do maximum damage in order to control physicians and "make them pay" utilizing their dirty attorneys and methods of thuggery that should make anyone shake and shudder. And then they covered it up. Get the court transcripts of ABIM versus Salas-Rushford. Get the court records of ABIM versus Arora. Study them. It is unbelievable all they got away with. The ABIM and Ballard Spahr, with the help of a New Jersey court magistrate (concerned with ABIM's proprietary priveliges) blanked their felon and his employ out of the court records. The ABIM CEO, COO, and CFO, and board as well as intentionally excluded Mr. Benjamin Mannes, alias Ariel B Mannes' lucrative and important position and compensation on their IRS tax forms. These are the same tax forms that claimed year after year that they "do not lobby" state officials or legislators in Washington DC. The same tax forms that year after year claimed Iowa domicile to insure their free pass on the financial burdens that every hard-working American has to pay. I'm speaking about obfuscations and potential fraud they were engaged in. Why did the ABIM/ABMs lie intentionally every step of the way unless the violations and liability were of great import that they feared exposure of their financial and political operations. What organization - a testing company like the ABIM and their parent advisory organization the ABMS - should be allowed to violate civil liberties with premeditated attack using a secret felon and ABIM's contracted minions under him. And really, with what privilege does one receive a free pass on lying about the domicile of a Foundation that serves the entire ABMS and the quality/certification cartel. Who in their right frame of mind could support mandatory MOC. MOC is a blatantly criminal enterprise with all the evil that it supports. Does anyone consciously support racketeering? Can any ethical person support the politicization of an alleged apolitical non-profit and the blatant misconduct that has gone on behind the curtain of lies. Well, thanks to regulatory capture and fear of losing your livelihood everyone must pay into the illicit and unethical. I find it incredulous that mind games still exist in Philly, Chicago, and in the halls of our state and federal assemblies. Even paid lobbyists twisting arms and offering campaign support is considered ok. And in social media -- we witness mind games that seem to plead ignorance of crimes committed by the ABMS. These are not soft crimes but hard ones that should be punished with hard time. Physicians and legislators must wake up to the totality of facts pertaining to these duplicitous white-collar criminals at the ABMS. With their contractors and subcontractors these executives have perpetrated untold harm on physicians and the public. What we all know to be true is just too much for our moral fibers within to admit sometimes, because many of the leaders involved claim to be MD's at the ABMS. But they are the outliers of the medical profession. They have isolated themselves as the elite professional medical politicians in charge acting as though above reproach. Anybody truly 'of the profession and for the public" who understands what Cassel and Baron, Weiss and Nora and their cabal have really done - the overreach and personal enrichment and political aggrandizement perpetrated under the cover of darkness and protected by those with high political and judicial rank - would not hesitate to strip these organizations' executives of their board certifications. And they should be fired, prosecuted and even fined or in a minimum-security prisons if they and their companies had any accountability. Dr. Wes, is there a website with a state by state list of states currently working on anti-MOC legislation and who is leading the effort in each state? ABIM's Dr. Baron admits there is "no robust science" or "evidence" to justify and MOC requirements. Yet 10-year (or less) programs and all the other recent additions/modifications/immediate payment demands for ABIM recertification regimens have been relentlessly inflicted on ABMS certified clients for over two decades. The process has only gotten worse the further they go with their experimentation on physicians (and their patients) to find the financial, psychological, and physical breaking points. I compare the practices that the ABMS has been engaged in to using physicians as rats, guinea pigs, or dogs in a broad scientific regime of experimentation that amounts to torture. There is a surfeit of data which confirms the harmful effects of recertification and mandatory regimes of MOC. There is on the contrary no evidence of its efficacy or benefit. Absolutely none. It has been pointed out that studies have not been done regarding the deleterious effects of MOC with their recurrent recertification regimes on physicians and patient populations. Physicians and patients have felt with crescendo over the years the pain of these MOC regimes/regimens and they have expressed their pain and complained from day one. The experimenters at the ABIM/ABMS who have increased their revenues to their own selfish delight have not listened to the cries of pain and anguish. The increasing failure of the programs the ABMS invents without knowing what they are really doing. The history of abuse is clear and the evidence of overreach is in. The executives have not even come anywhere close to what one could call cultivating in themselves an open mind and heart to anything other than their own executive self-enrichment programs and the means of breaking down physicians into being passive victims. And this torturous financially-motivated regimen has been linked/proven to serve special interests. Not-surprisingly, all past CEO/Presidents of the ABIM/ABMS medical boards walk away with millions of dollars and refuse to take interviews or phone calls of inquiry. They only appear for unjust ceremonies honoring them with awards. How did we get here to this breaking point where all physicians and patients must fight back? Fees for services were rerouted beginning in the 1990's into a falsely registered "foundation" (secretly funded) directly into corporate-driven initiatives to control physicians behavior with an imprudent experiment in healthcare rationing. This cost-cutting experimentation was not registered properly as a physician/patient/social experiment, but instead mislabeled as a "discussion" and then as a "campaign". The cost-rationing experiment was first presented by an affiliated NGO involved in healthcare reform and lobbying located in Washington DC. This NGO was established by Christine Cassel and special interests she represented. We know these experiments in bogus professionalism as the "Choosing Wisely" campaign and its earlier version as the "Good Stewarship" initiative. Whether the words "good" or "wise", "steward" or "choosing" were used in the social experimentation to alter physician and patient behavior, this does not disguise the facts of misconduct involving Cassel's egregious conflicts of interest and the highly irregular and improper use of non-profit organizations. Ample evidence exists on file with the IRS and SEC to link Cassel with a high degree of confidence to wrongdoing involving financial manipulation, obfuscation, and calculated misdirection while being in the employ or service of special interests - both corporate and political. A companion organization of the ABIM/F called the National Physicians Alliance was the NGO founded by Christine Cassel and her cronies during Cassel's tenure as CEO/President of the ABIM/F. Cassel and her ABMS partners and hand-picked/designated executives continued influencing health policy and legislation in DC through the NPA and ABIM/F. And many other NGO's under their control. Such manipulative actions involving the personal receipt of health industry funding when Cassel was a federally-contracted adviser to the president of the United States (PCAST) continued during Cassel's ABIM/F appointment, her board positions on Kaiser Foundation, Premier, and transfer to the NQF, which was embroiled in federal investigation with charges of their safety chairman receiving kickbacks, while the NQF was under suspicion of complicity in stakeholder influence and fraud involving their quality measures and company specific recommendations worth millions of dollars in potential profits to NQF's member stakeholder(s). Now the ABIM is offering up a two-year recertification experimentation regime with a beta-version due out in 2018. This is nothing more than a heinous continuance of the illicit experimentation on physicians and patient populations. When will all fifty states not just protect physicians and patients from MOC discrimination, but when will the legislative committees understand that they also need to add the amendment to highly recommend the initiation of an investigation of the past forty years of the ABIM/ABMS with an emphasis on the past twenty-five years of negligence, intellectual malpractice and corruption. And investigators need to get to the bottom of the capricious experimental torture inflicted on professionals and those who depend on them that persists.